Stephen M. Cohen provides an extraordinarily varied professional background, which includes the honor of serving as a Palm Beach County Judge from 1993 through 1999 before choosing to re-enter private practice. His practice includes business and commercial litigation, probate and probate litigation, cemetery and funeral litigation and is considered one of the leading attorneys in South Florida for mold litigation. 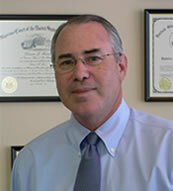 Stephen is one of only a few attorneys admitted to practice law in both New Mexico and Florida. He is also a certified County and Circuit Court Mediator in Florida and is also a member of the Southern and Middle District Courts for Florida. Stephen has served as a Florida Assistant State Attorney, a shareholder with Alley, Maass, Rogers & Lindsay in Palm Beach, Vice-President and General Counsel to a privately held company and a solo practitioner. Stephen has a life-long history of civic involvement, including having served as a member of the Board of the Union of Councils for Soviet Jewry, a delegate to the Conference on Security and Cooperation in Europe, an officer of local synagogues, and has served as Chair of the Young Leadership Development Program of the Palm Beach Region of the Anti-Defamation League and served on the ADL National Civil Rights Committee. He also currently serves as Chair-Elect of the Suncoast Community High School Foundation.